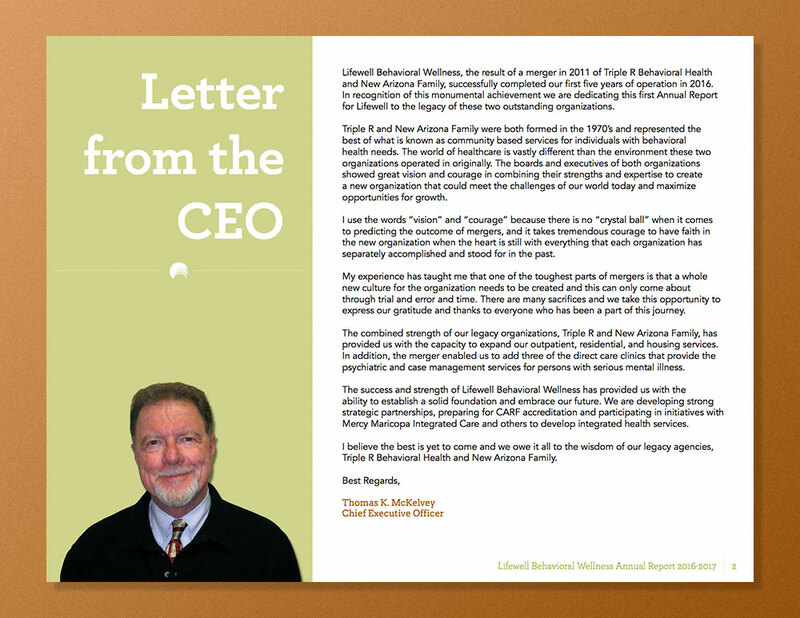 Lifewell Behavioral Wellness, the result of a merger in 2011 of Triple R Behavioral Health and New Arizona Family, successfully completed its first five years of operation in 2016. 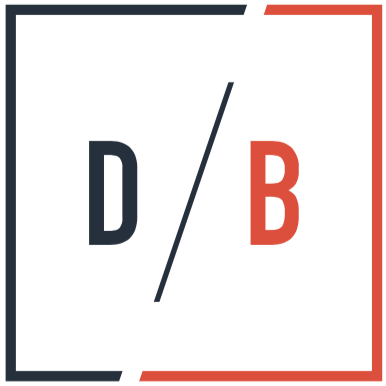 To help recognize this monumental achievement, the company employed Davidson Belluso (D/B) to create and produce their first ever annual report. The timeline for the report, from start to finish, was just over a month, as the completed piece needed to be available, in-hand as well as featured on the Lifewell website, in time for an upcoming board meeting. 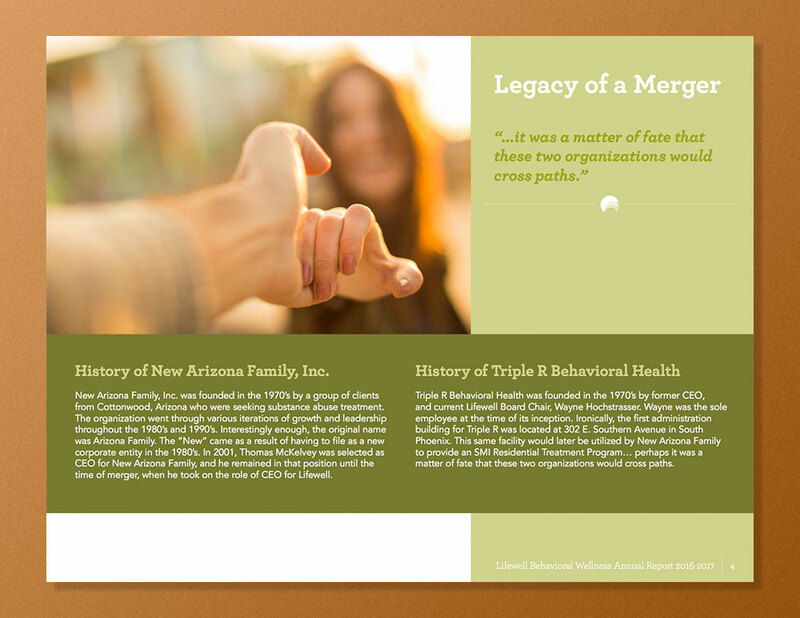 From a conceptual standpoint, the design of the report needed to evoke a human element and inspire a sense of hope and overall happiness to not only present the work done by Lifewell, but to represent the holistic healing of the company’s mission. In keeping with the overall look and feel of the Lifewell brand, the stark green colors used throughout the design of this first annual report offer an alternate, more bold approach to the company’s message. With use of warm supplemental colors and strong typefaces mixed with a broad array of quality imagery, the design provides an impactful approach to the portrayal of the company’s growth and direction over the year. 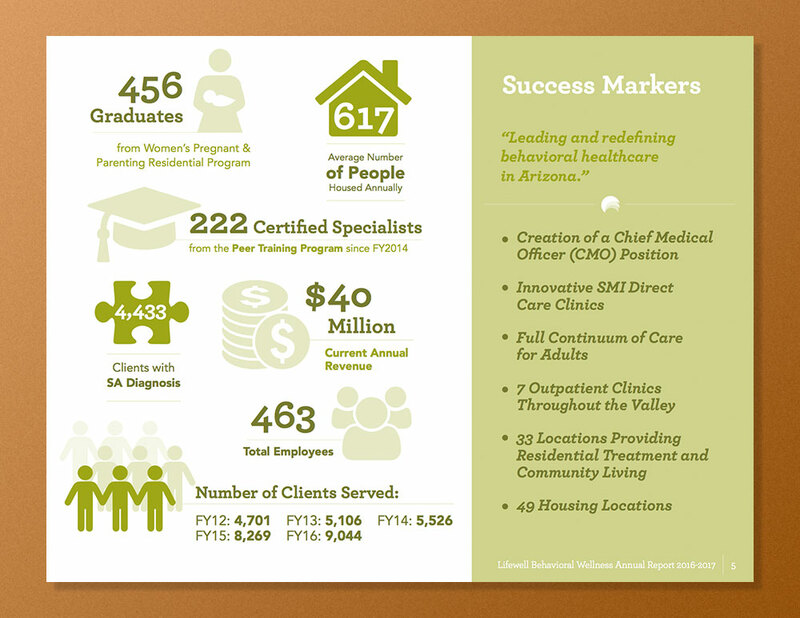 In addition to the design of the report itself, various images and infographics were also custom-designed to visually represent the financial, statistical, and more technical information and results from the year. 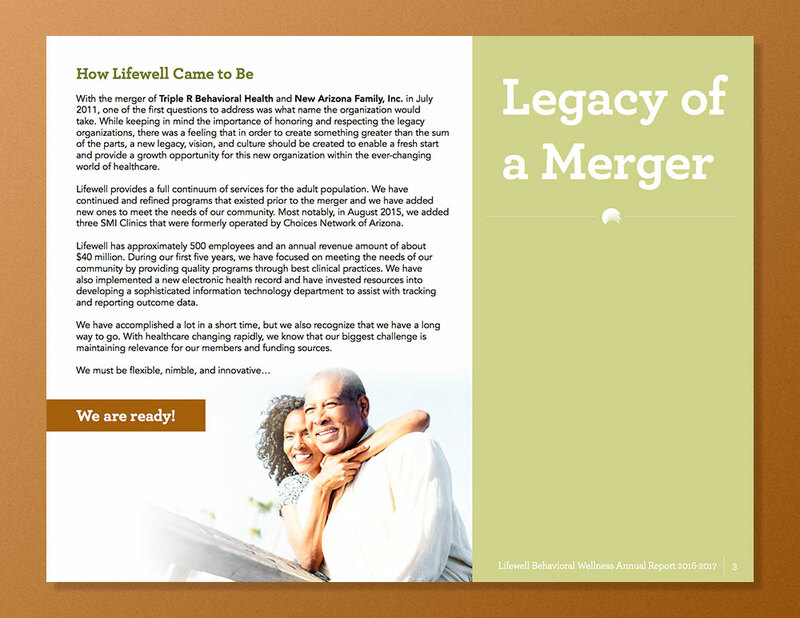 To further supplement and support Lifewell’s great and numerous achievements, D/B provided copywriting to create strong, impactful headlines and key messages. Though designed with the main functionality of digital use in mind, as the report would ultimately live on the Lifewell website, D/B strategically built the piece in a format that would also be compatible with printing, should the need arise. 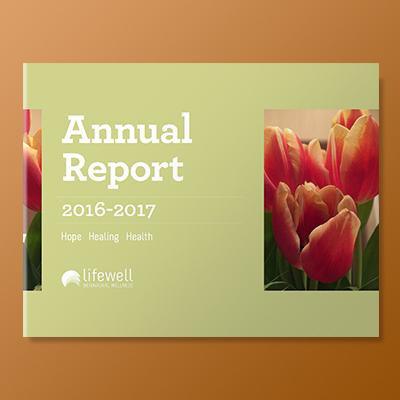 The Lifewell annual report can be printed one-sided and simply presented with an easy binding (or even a staple or two), or two-sided and bound in a book format. Take a look at the annual report, and you may find that some of the pages work exceptionally well when viewed as a spread in book format, namely the financial statistics and graphs. 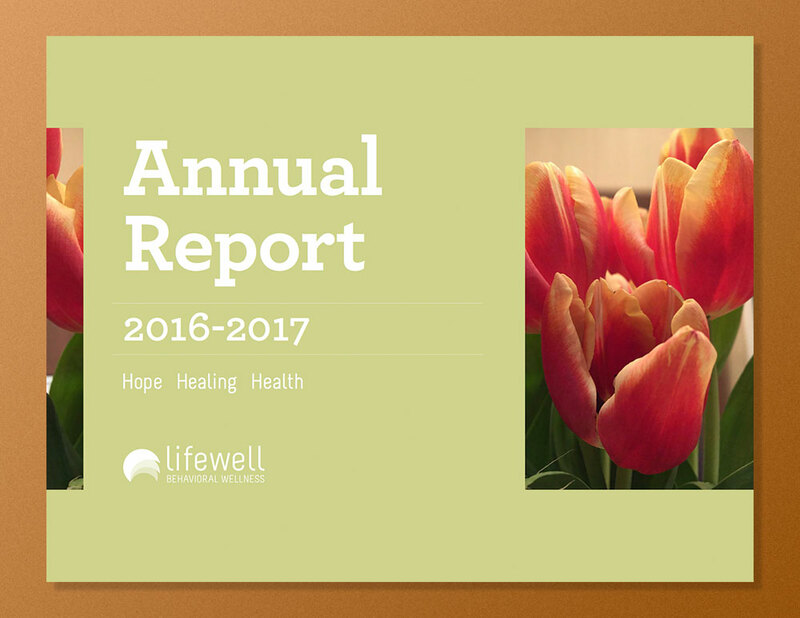 D/B was honored to have been given the opportunity to design the first annual report for Lifewell Behavior Health since the company’s merger; but more so that we were able to complete this collaboration to the satisfaction of the Lifewell team.